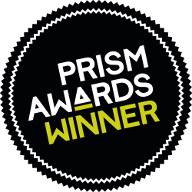 LightFab 3D Printer for fastest laser direct writing inside transparent materials. Table-top version available for integration with your ultrafast laser. The LightFab 3D Printer designed for subtractive 3D printing of precision glass parts and is also used in our jop-shop for prototyping and production. The LightFab 3D Printer is extremely fast thanks to the combination of our 3D Microscanner (fast writing of micro vectors with µm focus) and a ~µm precise 3-axes system (Scientific version: 120 x 80 x 20 mm, Manufacturing version: 200 x 200 x 150 mm). 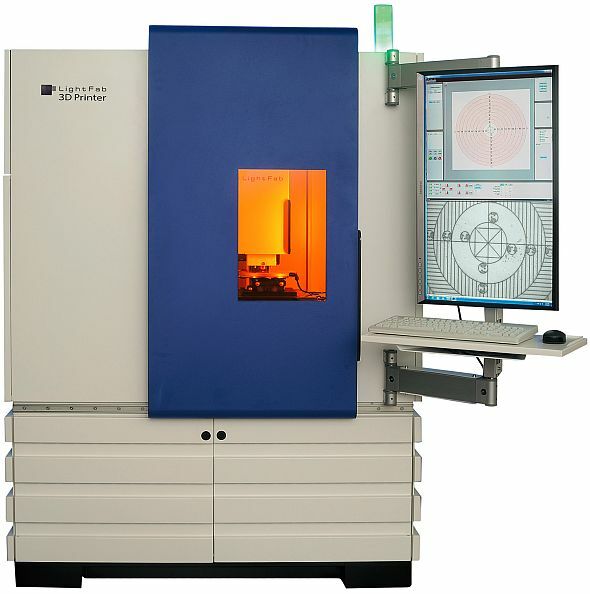 The integrated flexible ultrafast laser with tunable pulse duration enables optimal processing of different materials. The included CAD software with our "3D printer driver" and our CAM software allow the fast and easy production of very complex 3D parts. The LightFab 3D Printer complies with the machine directive and laser safety EN-60825-1:2014 and is designed on the basis of our experience of many years. The LightFab 3D Printer is also perfect for Direct Laser Writing processes such as multi photon polymerization of 3D polymer micro structures, 3D waveguide writing by ultrafast laser inscription, 3D lithography in fused silica glass by selective laser-induced etching, internal welding of glass, and micro structuring by precision ablation with e.g. 1 µm focus diameter. 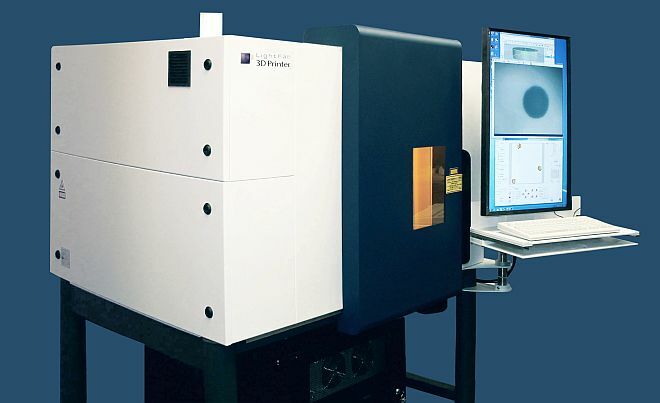 The flexible ultrafast laser and our CAM-software are very helpful for optimal use for all those different processes. We work together with partners using our machines for various processes to ease your entrance in such new technologies. Because the SLE-process is very well scalable we developed various high speed beam deflection modules for high power ultrafast lasers, from which we tailor a special machine optimized for mass production of your 3D precision glass part. To get an impression of the laser scanning/stepping and the 3D printing directly from CAD with our LightFab 3D Printer please take at look at our YouTube Video . 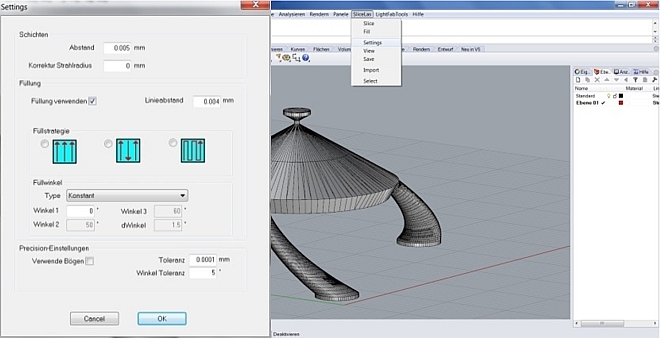 Automatic generation of 3D scan job in the CAD software importing plenty common 3D file types.